Jackie established Happy Tails in 1994. She originally opened in a small shop and moved to mobile in 1996. We have since expanded to include an awesome team of groomers with over 50 years combined experience. We constantly strive to provide you and your pets with excellent service and convenience. Elizabeth is Jackie's youngest daughter and has grown up in the business helping out by bathing animals and setting up appointments. 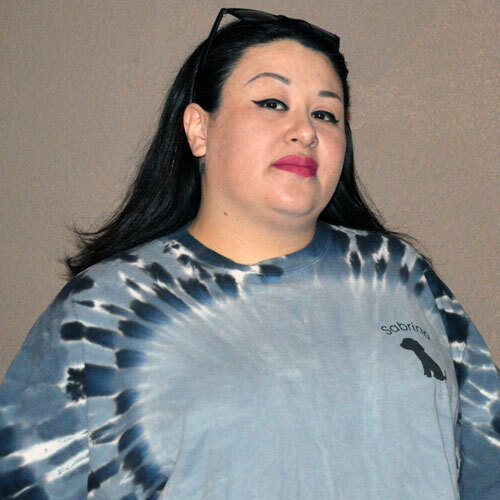 She eventually trained as a groomer and began working as a mobile groomer in August of 2008. Her natural creative talent is perfect for grooming and allows her to come up with hairstyles with the variety and functionality to suit the individual needs and preferences of the customer. Sabrina has 15 years experience in grooming. 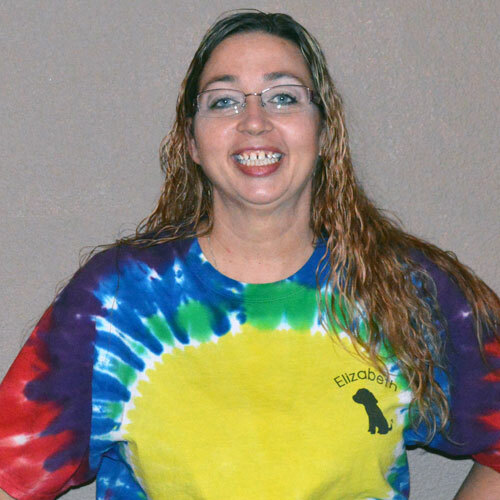 She started at PETCO in 2002 as a grooming assistant and soon after attended their grooming school. After 4 years of grooming in-shop, she moved into mobile grooming and now has 11 years mobile experience. 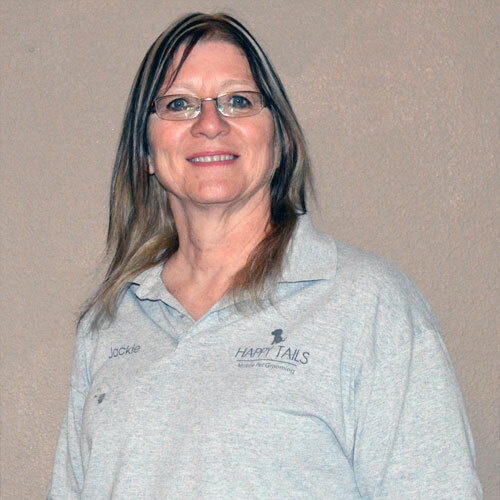 She has excellent customer service skills and loves to help educate her customers on pet maintenance and health. She values her time with her customers and their fur babies. Sabrina has established trust and confidence with her clients to know that they are in good hands, which validates why she chose this line of work.